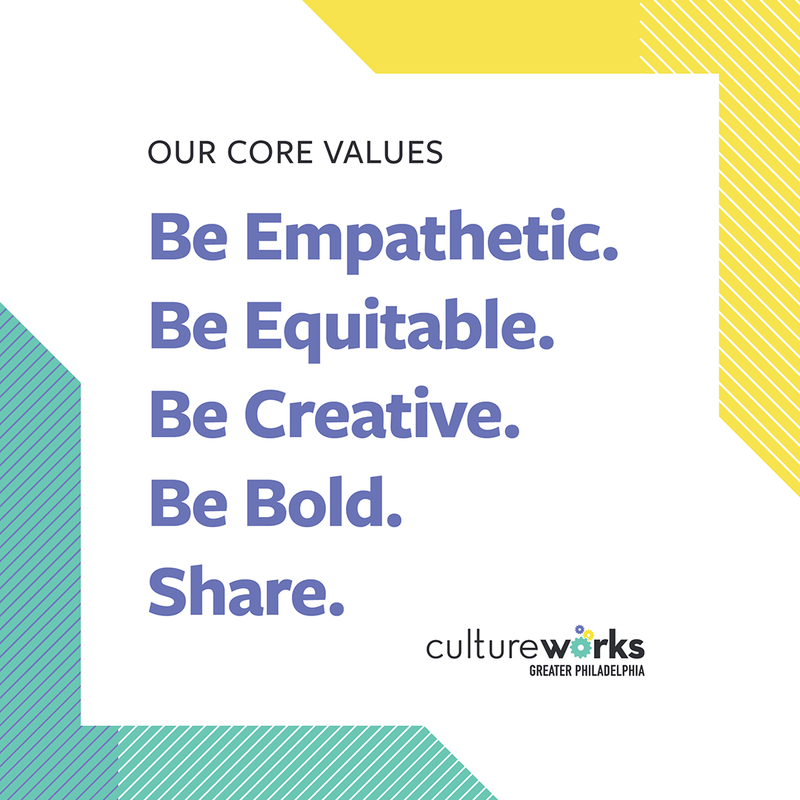 CultureWorks is a management commons for arts, heritage, and creative communities — a platform of space, human capital, and services to help artists not only survive, but flourish. With more than 220 members, including 100+ fiscally sponsored projects, we provide equitable access to management resources for both individuals and organizations, the makers and preservers of culture. For many folks, especially members of historically marginalized communities, sharing money, food, living quarters, supplies, and more is how they gained access to the resources they needed to not only survive, but flourish. Through sharing resources, they were able to reduce costs and other barriers that served as hindrances to finding support for their work. The CultureWorks community continues this tradition as an intentional community of creative and cultural practitioners, a management commons dedicated to providing equitable access to the resources creative and cultural practitioners in the Greater Philadelphia region need to flourish. As an intentional community, we're committed to supporting one another's flourishing, which we see as the ability to determine and define, both individually and collectively, the questions, challenges, and joys that define our vision and work - both individually and collectively. As a result, we're committed to combating language, belief systems, structures, and practices designed, whether by intention or accident, to oppress or impede the path to flourishing and vision. These resources are broken down into three cumulative tracks for our members. Discover, advise, and get to know each other. Extra hands (and minds) to get things done. 20 hours/month access to our shared workspace. Opportunity to add-on space or consulting support as needed. 360-degree assessment session of your project or organization with the CW Admin Team & a summary report. Raise financial resources together. Let’s scale upward and outward. This Currently under development. We are working on how we might help you raise the financial resources need to grow your project. 5%-20% of monthly earned and contributed revenues gets you a shared advancement staff.